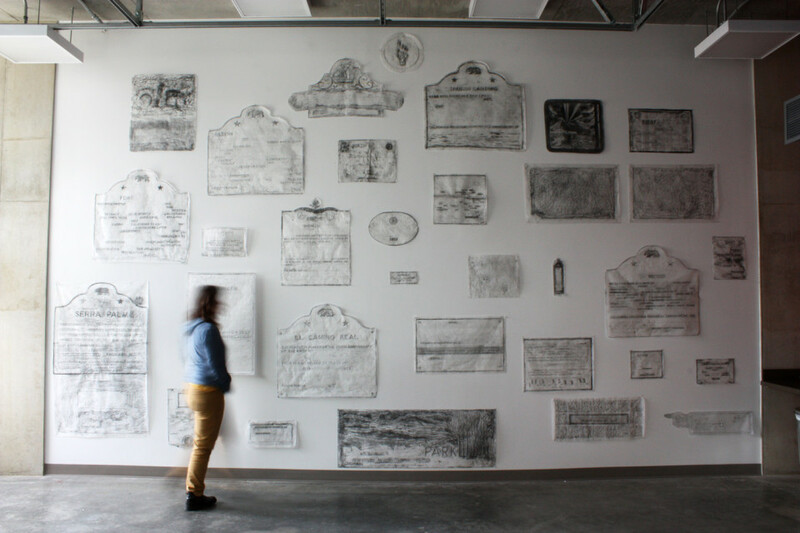 PLAQUE is an ongoing project, involving taking graphite rubbings collected from historic plaques of Southern Californian territory once considered “virginal,” extending from San Diego’s urban core to it’s southern limits. After each rubbing is collected, all text is erased save key verbs, nouns, and dates. Through lifting extraneous content, the grammar of a land’s development and erasure emerges. How does our plaque relate to us as living actors in a shared terrain? What singular gestures have been recorded and rendered decorative in such a complex choreography? 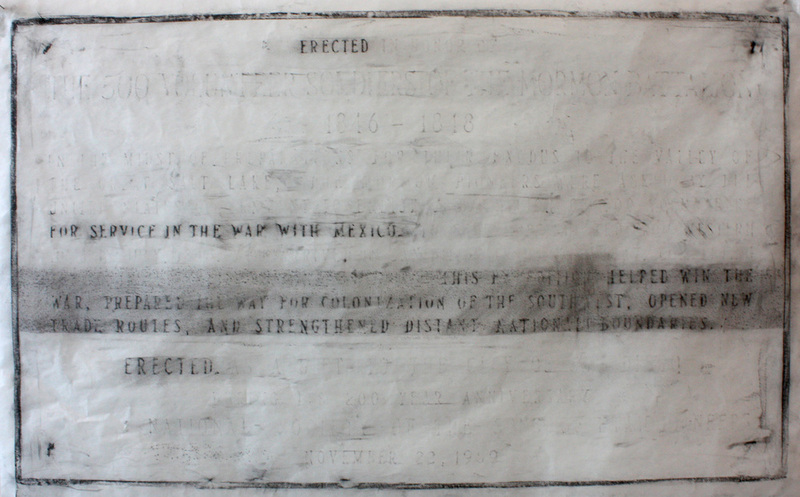 Support by the Experimental Drawing studio, University of California San Diego.